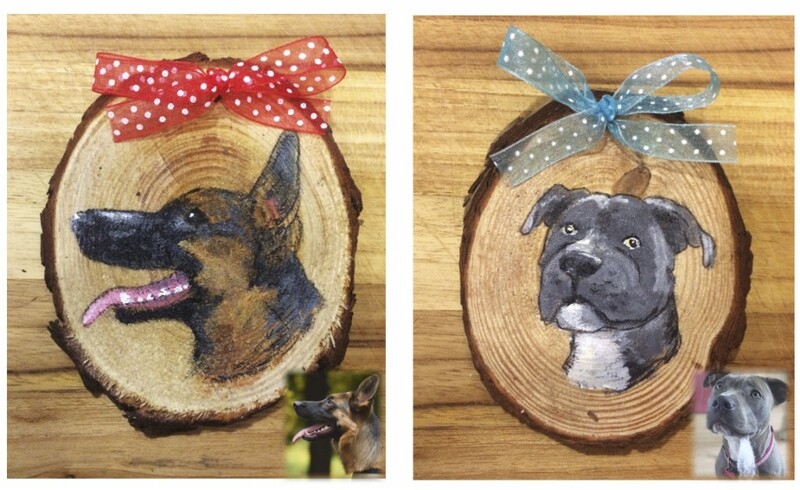 Hand painted ornaments by DOG DOODLEZ made from a favorite photo of your pet. The ornament is approximately 4″ long (size will vary slightly). Created with acrylic paint on pine wood. Ornaments are protected and sealed with varnish for many years of enjoyment. 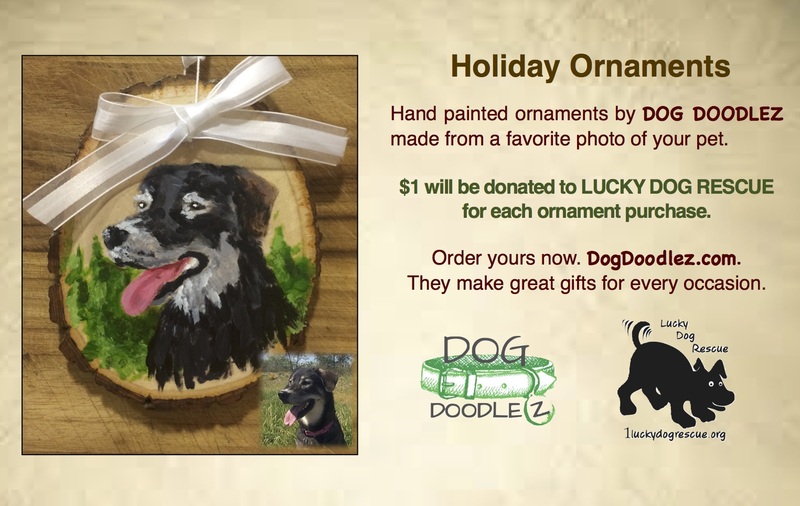 $1 will be donated to Lucky Dog Rescue for each ornament purchase.